We also advertise through 'Villarenters', a national site that seeks independent reviews from the people who book Villa Bocaina through their own site. 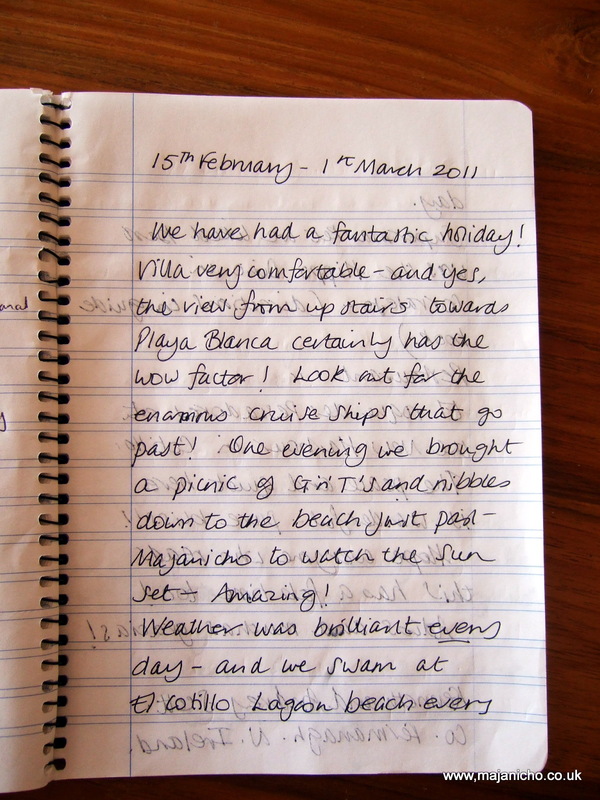 They write direct to the customer and ask them to rate the villa based on several factors, i.e. Is the villa as described? Is it decorated to an acceptable standard? Did it meet the expectations of the renters and does it represent value for money? We have no say in the review and they are then published on their web site and the owners are 'scored' for the service they offer. We have been awarded 'Best Buy' by the company having achieved an extremely high level of positive reviews. Naturalsurfcamp is owned and run by BSA trained surf coach, Peter Brabants. Peter keeps his classes small and is flexible in his approach to coaching. Certainly one of the coolest surf coaching 'set ups' on the island, I would have no trouble recommending him. His enthusiasm for surf coaching and knowledge of the island is second to none. Click on the link below to access his web site. 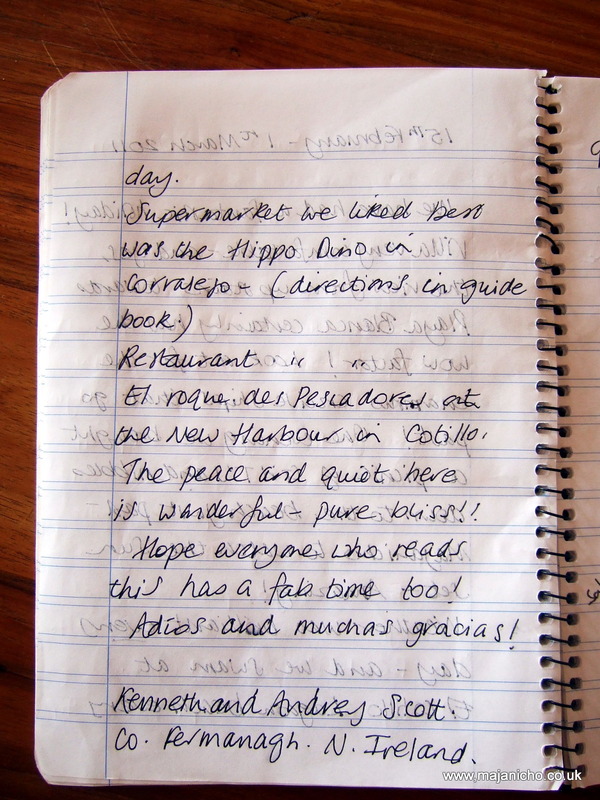 "We came to Fuerteventura for our annual body board trip, having said that Villa Bocaina was the best place possilbe. The view from upstairs to 'The Bubble' is incredible and made the morning surf check easy. The house is very well equipped and we specially enjoyed the DVD selection, watch 'The Long Way Round' The weather was great, endless summer feeling. Watch out for the rabbits when driving at night and if you got a flat tyre when 'rally driving' there is a petrol station in La Oliva that will fix it for 8 euros! We highly recommend the U turn surfbar in the main road to Corralejo, very nice people and free wifi. Thank you, hope to come back! We left a DVD entitled “Marbella” - its full of rock, ska, punk and reggae if you like that sort of thing listen to it!" Another local, Melissa Jaminez gives Kiteboarding lessons. Melissa lives a 'stones throw' from the north shore so is a 'first choice' for many eager to take up this rapidly growing sport. Useful information and interesting sites. Check out the weather in Fuerteventura. Having surfed the Gower pennisula for many years, I have become aware of a passionate surfing community who's needs are served by the local board shapers in the area. One such shaper is Pete Crab based on the penninsula in Penclawdd. Should you be thinking about a new board or a ding repair, drop in and he will be happy to help you. Pete Crab's knowledge of the longboard is second to none and he has been leading the way in the development of the shapes of longboards that allow surfers of today to do things that were unthinkable back in the fifties and sixties when they were first ridden on our shores. Crab Island longboards are traditional in every sense bar performance; in this regard they will exceed even the wildest expectations. Longboards are tailored to your exact needs ranging from begginer mini-mals to the prestigeous, high-performance "Classic Flight" branded boards. The evolution of the shortboard continues at a frantic pace and the diversity in shapes varies now more than ever. Crab Island shortboards range from the perfomance thruster, used by many of todays pro-surfers, through to the retro fish shapes that are becoming increasingly more common. If you know how you would like your shortboard to behave, Pete Crab has the know-how to make that vision a reality. Many thanks for sharing this with us. We love Fuerteventura and the many different 'layers' it will reveal to the curious and patient eye. Please do not hesitate to get in touch whether you want to book a holiday, share your own experiences of the island, or just seek advice. We try to be flexible and will endeavor to help in any way possible.